The saying goes, “People who live in glass houses shouldn’t throw rocks.” I understand and agree with the lesson of the saw, but I think “People who live in glass houses don’t throw rocks” might be a better saying. Exposing my heart to others and allowing them to do the same, causes me to put down my rocks. Rocks come from brick barricades built to keep me from exposing myself to a world that might not understand or accept me. Facades work as well as brick buildings when it comes to hiding, and I’ve done more than my share of hiding behind both. I have also tossed a rock when threatened. Fear is behind all rock throwing, so those filled with fear don’t fare well in glass houses. 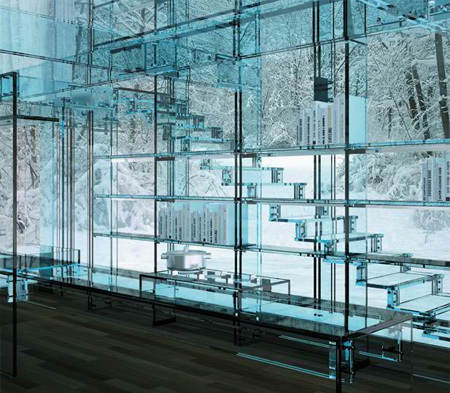 Glass houses represent openness and allow me to share my story and let others into my story. They are the dwelling place of honest communion, but they are not designed for comfort. I never watched the reality show “Glass House,” but I know it was designed to let the audience determine what happened inside a house full of folks competing to win a $250,000 prize. It is more about exhibition than honesty, and that’s not what I’m talking about. When it comes to God, He sees all and knows all. He loves me unconditionally and waits for me to realize that I’m living in a glass house. In Ecclesiastes 12:14, I hear words that remind me that nothing is hidden from God. Proverbs 12:22 reminds me of why I want to live in that glass house. Love makes me want to delight God because He certainly delights me. My favorite verse, Psalm 51:6, humbles and brings down the facades and bricks around my heart. David captured the heart of God in a way that makes me want to open my heart as he did. He was not a perfect man, but he was a man after God’s own heart. That’s all God asked of him, and it’s all He asks of me. David knew the pain of living in a glass house, but he also knew that God teaches wisdom to those with open, honest hearts. The television show encourages inhibition and exhibition because that’s what brings great ratings. God encourages honesty and acceptance because it brings wisdom, faith, and delight. Nothing is better for my heart. Carlo Santambrogio and Ennio Arosio. When a witness is called to the stand, they are often asked to testify in regard to the character of the one they represent. As witnesses go through cross examination, they often fall apart. Taking the stand does not ensure the character of the witness will be left in good standing when the dust settles. I know my own heart doesn’t fare well when God puts it to His Son’s cross for examination as He’s done this week. Good witnesses are not the ones with the strongest opinions or the ones with the most elaborate details about what occurred. The best witness is the one who sees and hears the truth without the filters of self interest. God’s witnesses are the same. I am very adept when it comes to rationalizing, and I can be very selfish when it comes to getting what I want. I can be even more so when it comes to getting what I believe I need. God showed me yesterday that my arguments are convincing indeed. He listens to all of them and gives me all the space and time I need to convince myself, however, He is not going to change His mind or heart during my exhaustive presentations. He listens and waits for me to see my argument in His light. When I stop my flowery delivery or determined debate and look into the heart of His Son, I see His precious love and am silenced and humbled by the cross examination that takes place. In the light of Christ’s love, my arguments miss the mark. My flowery speeches wilt, and I turn to God and beg for His mercy and forgiveness. In the courts of this world, my stance stands firm and prevails; but it’s not in the courts of this world I wish to dwell or prevail. God makes it crystal clear that it is, and always will be, up to me to choose the courtroom I prefer. The world offers talented lawyers and luscious loopholes that tempt me to stay and win my case, but I will lose His presence in the process. God offers mercy, forgiveness, grace, hope, and love; but He will not accept my arguments no matter how eloquent or elaborate they may be. He sees His Son’s precious love in my heart, and He will accept nothing less from me if I am to go the way He wants me to go. I can let Him lead me on His path or leave Him and go on my own. I can be my own witness on my own path and become my own judge and jury, or I can follow where He leads and be His simple witness. Being God’s witness doesn’t involve convincing anyone to do anything, and that includes me. It is a simple path that requires only that I love Him with all my heart and soul and mind and strength and love my neighbor as myself. His Holy Spirit will help me understand how to do both, but I must first stop my arguing, get off my stand, stop leading and allow myself to be led by His beloved Son.